The first day of main draw play in the Qatar Classic 2017, the second PSA World Series event of the season, started with three consecutive upset results at the Khalifa International Tennis and Squash Complex in Doha. Seventh seed James Willstop, the 2005 champion here, was beaten in straight games by Diego Elias, the latest in a fast-growing list of wins over top ten players for the in-form young Peruvian. The next two matches saw two qualifier progress, both in convincing fashion. 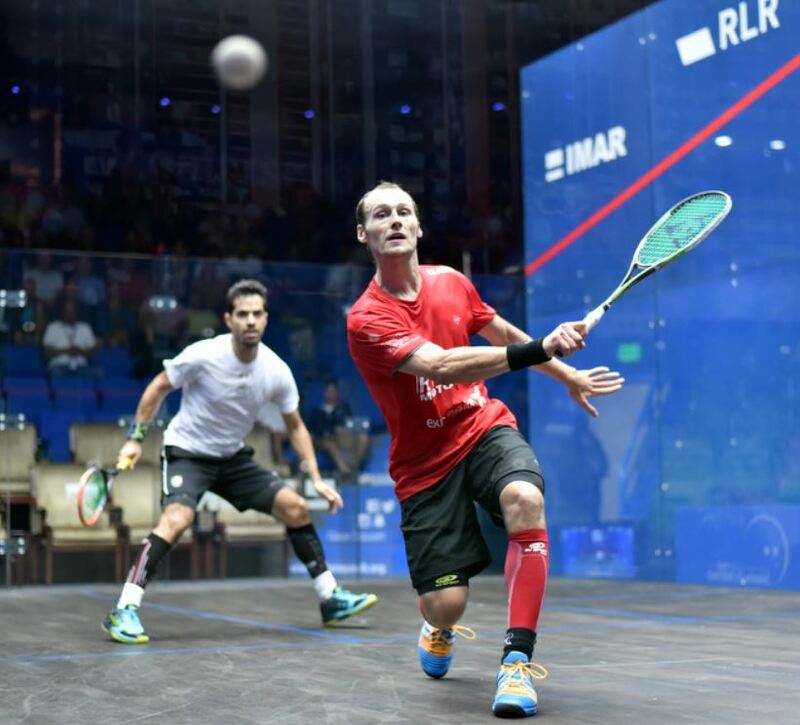 Hong Kong’s Leo Au came from a game down to beat Ryan Cuskelly, a semi-finalist here two years ago, and India’s Saurav Ghosal continued his recent run of impressive results with a straight-games win over Daryl Selby – the Englishman who reached the semis-finals here last year. Normal service was resumed thereafter, as Egyptians Ali Farag and Mohamed Elshorbagy despatched qualifiers Karim Ali Fathi and Chris Simpson in straight games, Fares Dessouky ended home hopes with a comfortable win over Qatari wildcard Abdulla Al Tamimi, and top seed Gregory Gaultier made an impressive return to action after a few weeks of injured with a solid win over dangerous Mexican Cesar Salazar. In the last match of the day Zahed Mohamed provided a fourth Egyptian winner as he came through an exciting five-setter with Gregoire Marche. Round one continues on Monday with eight more matches in the bottom half of the draw.